Also necessary for writers who are temporarily still bogged down in the minutiae of moving, is encouragement. Until further notice – until I’m enough settled to finish NETHERWORLD, the second book in the Pride’s Children trilogy – if you have someone to whom you would recommend it, now is the time to send them a gift email for Pride’s Children:PURGATORY – for a buck. Nor could it possibly hurt to remind them that reviews are also a very good thing readers do for writers. HERE IS THE LINK for a public post on Patreon which you can read to see progress toward finishing NETHERWORLD. It’s been almost six months since I was able to write, due to us taking our whole life apart and moving from New Jersey to California. I was not able to continue living in a house with stairs, and the whole place was too big for just the husband and myself, as the last child is pretty solidly fledged. And taking care of a house and yard is for people who enjoy that – or need to. And we are closer to our oldest child which, since the others are geographically scattered across the whole USA, is a choice we made. Putting a life back together takes time and effort. For one, you have to replace all your doctors! We are seriously considering not even buying a car. There is Uber and Lyft and Zipcar, we have transportation here to many things, and may decide to get bikes and store them in our parking spot. So stop by the Patreon page and read all about me picking up the writing again (and there are a whole bunch of public [free] posts there which might interest you as well). This move is my way of reducing a lot of the unnecessary time-wasters in my life so I can write. Plus pools for this water baby. 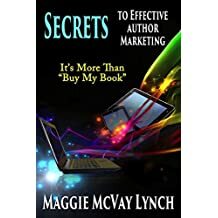 I’m reading a new book, Secrets to Effective Author Marketing, Maggie McVay Lynch, from Windtree Press. I do not know the author, but it came in a bundle from a marketing author (among MANY other things) I DO know (not personally – from her website and a few replies she’s made to the odd comment I’ve made after one of her blog posts), Kris Rusch. Kris has been extremely generous with her advice on her blog, so I figured the books in the bundle (including her new one, Creating Your Author Brand) would definitely be worth the investment. Just telling you where I got the idea that is stuck in my head: how to follow the ideas in Secrets, and not just let them remain ideas in an ebook I’ve read and finished with. If you can make a list of the experiences (emotions) your reader feels when reading your book( s) then you are most of the way to understanding what VALUE you have to sell. If you can sell the value of your book as an experience then you have set a good foundation for marketing. I am a writer. I create an experience for a reader, deliberately and with malice aforethought… I mean, on purpose. I have that experience very much in mind (it’s one of my writing prompts for each and every scene) when I write a scene, but it had never occurred to me that I need to do the same thing when marketing. Because marketing and writing have always been separate jobs, and the marketing has only become a big job for the writer this century, with the explosion of indie writing. Used to be your publisher did the marketing stuff, sent you (if you were so lucky) on a book tour you hoped would open in each bookstore with them having received a big box filled with your brand-new hardcovers. People in the publishers marketing department wrote the ads, dealt with the media, found reviewers, marketed you and your book. And I picked that up in my reading. You can still see it in author bios that use the third person to speak of the author. It’s a lot awkward to do when you’re your own marketing department and copywriter. It does put the writer into the nitty gritty commerce side of things (Ben Franklin printed and hawked his books), in effect, singing your own praise. More awkwardness. It occurred to me, though, that I don’t have to – because I have a bunch of, ahem, perceptive reviews, and I can point to them as an external measure of how I possibly hit someone in the gut. Without too much further ado: What did you feel? 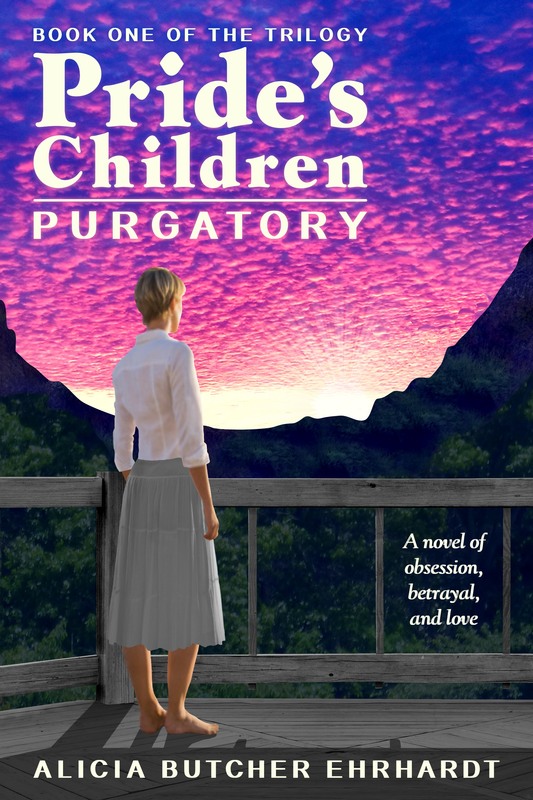 Let me quote (and attribute) some of the reviews that address the question in Maggie’s book as to what emotions readers felt while reading Pride’s Children: PURGATORY – in their own words. “You are taken behind the scenes, literally, of the making of a Hollywood movie, and introduced to …wait for it…Penny the dessert girl. It’s the interaction of the big stars with HER that spoke to me the most about the incredibly fine line ALL of them have to walk to retain their privacy, and yet be courteous persons of integrity. I’d love to know if you had the same reaction. I like my cover, and it speaks to me of the yearning that is so much a part of Pride’s Children: wanting what everyone wants, allowing oneself to want. She dialed Aunt Ruth’s number by heart. “People first. Especially you.” Capturing words next, above everything else. “Very well. The new story is coming almost faster than I can capture it.” Their formal jousting, as ritualized as a quadrille. She exhaled. I haven’t committed—yet. Bless her. “Nothing. Don’t worry.” Lord, the temptation. Enough fascination to pull her hand into his fire. But no, nothing there. “If I were younger.” And beautiful. Beauty deserves beauty. If I weren’t sick. “Better not to want.” It hurt. In the background she heard sounds of people approaching Ruth, asking if she was ready to go in to dinner. Salvation. Kary let out all the air she had been holding in. And that’s why I love you. The answer seems to me to be to use the book description, somehow, to speak directly to a new reader. To include the combination of wanting someone very badly, but having the sense and the integrity not to reach for him, because it is not in his best interest. This is not an original idea – it was buried in my subconscious when I read Jane Eyre as a child. I’ve transmogrified it – to suit my story. But I aim for the same quality – and for the reader to see that the decision (it’s not in his best interest) has enough arbitrariness to it that there just might be room for another ending than the one Kary is – with the omnipresence of a censorious society which declares the imperfect not human (or not human enough) – sure she must choose. My next job is to figure out how the heck to get that into the first paragraph of the book description, above the fold (i.e., what’s visible without scrolling on the book’s Amazon page). And be cocky enough to reach out for the reader’s viscera from the first words. Maybe Maggie’s book will help me figure it out. What was your emotional experience? Every reader creates a unique universe in his or her head. If you like your writers to consider your emotional experience – which takes a lot more work than just telling you a story – consider purchasing or borrowing Pride’s Children: PURGATORY (if you haven’t) or becoming a patron to support Book 2, NETHERWORLD. And I’m donating ALL my royalties from sales, and page reads on KU (Kindle Unlimited), for the month of May 2018 to #MEAction‘s fundraiser. And for heaven’s sake, not one who commits suicide or dies of cancer, thus tidying herself out of the way of normal characters! But one who lives, breathes, and functions as well as possible – given one of the burdens of being a human: not having everything functioning in tip-top shape OR being reachable by diet and exercise. Because fiction creates EMPATHY. Fiction is the only way, short of having the disease, that you can experience what it is really like, how every decision in your life is affected, and how your hopes and aspirations and goals come crashing down when you become disabled. Because May is ME Awareness Month, and many activities are being planned, including the #MillionsMissing demonstrations where we are represented by our shoes – because they can leave home and we can’t in many cases. It is hard to advocate for yourself and a disease you battle daily – when you have so little energy you don’t manage to brush your teeth some days. #MEAction is raising funds to fight for people with ME/CFS (Myalgic Encephalomyelitis/Chronic Fatigue Syndrome), a major devastating and debilitating disease which has been ridiculed and ignored by the medical profession for more than the past three decades, and is getting attention now because people with ME/CFS and their allies are demanding it. If you read Pride’s Children: PURGATORY, and can’t wait for NETHERWORLD, check out the Patreon and become a patron – it’s the only way to get more before this very slow writer with ME/CFS publishes Book 2. And eventually Book 3. And yes, I’m writing as fast as I can. Please check out the new post on my main writing blog about my reasons for starting up a Patreon project for Pride’s Children 2, or hop on over to my Patreon site itself, where I attempt to explain myself better. And you’ll be able to read the beginning chapter (Chapter 21 – the numbering from PC 1 is continuous) by the end of the week or so. This is for the readers who say they don’t want to wait until Pride’s Children: NETHERWORLD is complete, formatted, and available in final form, ebook or print, from Amazon. I spend time every month looking for ways to reach new readers, and connected with D. R. Rose on Goodreads. He was kind enough to write a review I’m still catching my breath from. He’s recommended Pride’s Children to people who might like it, and also suggested other people to approach. How highly can I praise this book without looking like a sycophant? And, why are we having to wait for the next part of the story??? Elegant literary fiction which is also literate, modern, gripping, and extraordinarily entertaining, to label the subject matter a ‘love triangle’ would be like daubing the Taj Mahal with graffiti. Alicia Ehrhardt takes the reader into the persons of Kary, Andrew and Bianca by turns, and uses this approach with consummate skill to construct characters whom one comes to know, dare I say this? rather better than one knows one’s spouse, or significant other. She does this better than any other author I have yet read. The plot is more than character-driven; there is a sense in which the plot is the characters. The pace is unhurried, almost meditative at times. By contrast, the tension is considerable, and the reader is kept in suspense all the way to the disappointing end. I have to call it disappointing because Ms. Ehrhardt has clearly planned the whole story across a trilogy, and this is therefore only the first part. Disappointing, because by the time one reaches the end of this first book, one is aching for resolution. Well, I was, at least. The writing itself is beautiful, witty, and considered. I felt at times that every word had been weighed. Ms. Ehrhardt has created characters of rare power and beauty, whose natures result in relationships of living, breathing complexity. Beside the central three, other characters look quite flat – and yet, they are as developed as most good authors’ central protagonists. The settings and situations are fully realised, being founded upon either the author’s own experience or diligent, exhaustive research. I can’t tell which. Ha! Thank you so much, David in South Africa.